The best in carpet cleaning and care comes from Bane-Clene truck-mounted equipment, a specialty of Mac’s Carpet Cleaning in the Highland Lakes. 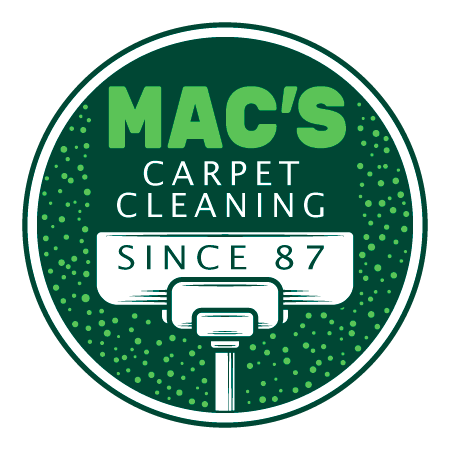 Serving the Hill Country since 1987, Mac’s Carpet Cleaning is approved by leading carpet manufacturers as providing the best in deep-cleaning, fast-drying carpet service. Mac’s Carpet Cleaning is insured for your protection. The company provides its own softened water and takes away all soil and wastewater. They leave no soapy, sticky residue either. Employees are courteous and prompt and will not smoke in your home. Mac’s Carpet Cleaning can solve all pet odor problems, too! Advantages of using the Bane-Clene system go beyond the equipment’s ability to quickly clean without over-wetting or burning the carpet with scalding water. Bane-Clene is quiet and energy efficient with an accurate and easy-to-control water pressure and water-temperature system. Its positive displacement-vacuum system provides more than 95 percent moisture recovery using only 14 amps of electricity. The equipment’s unique recirculating water system makes it the ultimate cleaning machine. By using the Bane-Clene system, Mac’s Carpet Cleaning won’t be using your water and dumping lint or dirty water on your yard. Carpets and furnishings are left clean, sweet-smelling and nearly dry! You won’t find a more professional carpet-cleaning service anywhere. With no charge for estimates, it’s time to call Mac’s Carpet Cleaning for like-new carpet and a fresh, clean smell in no time. For the best in carpet cleaning in the Hill Country, call Mac’s Carpeting cleaning at (830) 693-3922.